Registered Architect B.Arch ANZIA. Partner at Mitchell and Stout Architects Ltd. Lives in Belmont with partner and two young children. Interested in making Auckland a better place by preserving the best buildings, streets and laneways, while improving the general urban fabric with well-considered new building and fine-grained planning; would like to see more tree-lined streets and better provision for bicycles and pedestrians, along with a master plan for the central city. Lancia motorcar and classic boat enthusiast. QSO. BA, LLB. Barrister. Former lecturer in Valuation Law. Charitable Trusts include: NZ Maritime Trust to preserve ferries SS Toroa and SS Ngoiro; Chair of 1886 Fort Victoria Trust; 1912 Victoria Theatre Trust, Rangitoto Island Trust. Trustee of the Year Award from Trustees Association. 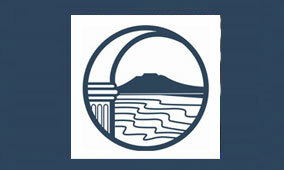 Interested in general heritage in Auckland, North Shore and Hauraki Gulf; Sir John Logan Campbell Kindergarten. JP, MSc, MPhil, BEd. Active in environment and heritage protection for 35 years, completed heritage site economic feasibility studies for the European Union Intercultural programmes, projects on Social and Cultural Capital Asset Impact Assessments, Environment Impact (Effect) Assessments and Safety & Security Assessment of heritage destinations; chaired the Auckland Branch of the NZ Historic Places Trust, was an elected Northern Region NZHPT rep; was a NZ Federation of Historic Societies member; past national council member of the United Nations Association of NZ; Friends of the Earth, Northland; and the Association of Low Impact Technology and Energy; elected to Waitakere City Council; sat on the Northland Regional Economic Development Council, Community Employment Investigation Scheme; Hauraki Gulf Forum; Tourism Auckland; Electoral College of MOTAT; Auckland War Memorial Museum. M.Arch, Dip TP, Dip Urb Val, involved in local urban design issues; established a North Shore architects group and the Milford Village Forum; member of the Milford Residents Association; on the Board of the Takapuna Community Facilities Trust. CTA Board Member 2013. LLB – Auckland University 1977, LLM – New York University 1991, MCL – Auckland University – 2008; CTA Board Member 2009 – 2013; life member of NZHPT for over 30 years; staff solicitor, then partner in various law practices (currently a consultant with Macky Roberton); general interests mainly in law and rugby league. Retired secretary. Civic Trust Life Member, secretary 1980-1984 and 2004-2009, member 23 Alten Road Sub Committee, assistant to Director, Auckland Heritage Trust 1985-1987, former member Customhouse Trust Board. ONZM, B E (Civil), MICE, Distinguished Fellow IPENZ, Civic Trust Life Member, President (1979-84) and 2005/6. Unitec Council Past Chair (7 years). Current President Remuera U3A. Interested in engineering heritage and Civic Trust development. M A (hons), QSM. Civic Trust life member, Vice President 1986-7 and 2009-10, President 1987-91, Board Member 1996-2001 and 2004-2010, Chair Purewa Valley Protection Sub-committee, member Transport Sub-committee. Selwyn College Adult Refugee Programme Co-leader. Founder Roy Clements Treeway-Mt Albert. A Mt Eden Borough Councillor for many years, Elaine helped revive the Trust in the early 2000’s. She was a wonderful hostess for many Trust occasions. Board member 2006 – 2009. He is interested in many aspects of heritage, particularly that involving Freemans Bay, Ponsonby and other inner Auckland suburbs. He is interested in local body and regional organization. MLI, MI Hort, MA (landscape architecture), chartered landscape architect in private practice, specialist in sustainable landscape architecture and landscape planning. Nick enjoys a special interest in landscape and garden heritage across the world. He Lectures part-time in landscape architecture at the University of Auckland CCE and UNITEC, formerly at Lincoln University, Canterbury. Activist in environmental protection with values party, Remuera community committee, friends of the Christchurch botanic Gardens Inc, Golf Links Residents Association Inc, Christchurch, Christchurch Civic trust Inc. A current and ongoing passion is to help fight for the protection of Albert Park land. Other priorities are protection for worldwide water and promoting, improving and protecting public transport, especially buses. B.Arch, ANZIA. Principal of Dave Pearson and Associates Ltd. Devonport, specialists in Heritage Conservation. At present preparing Conservation and Heritage plans for 23 Alten Road. Secretary of the Remuera Railway Station Preservation Trust, member of the 1886 Fort Victoria Trust. 2002 winner of New Zealand Institute of architect’s heritage award for his work towards the restoration of the 1877 waterworks building at MOTAT.